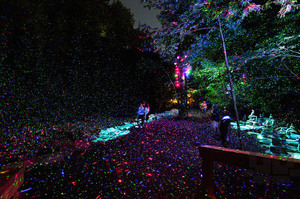 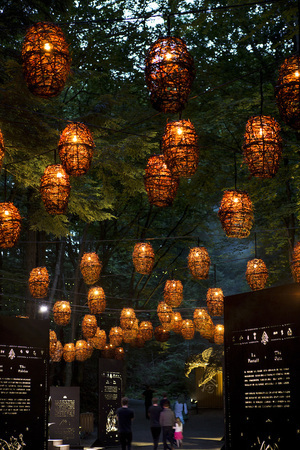 Quebec’s Parc de la Gorge de Coaticook transformed into Foresta Lumina – a magical illuminated trail by Montreal based studio Moment Factory. 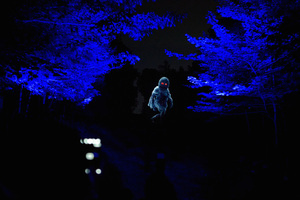 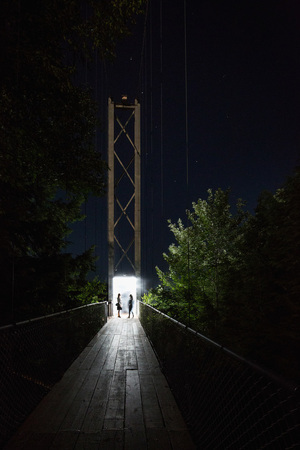 The display includes a 2km trail through illuminated groves, peopled by shadowy figures and projected nocturnal shenanigans including an atmospheric portal installed at the end of the longest suspension bridge in North America. 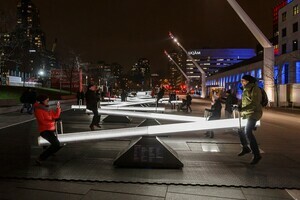 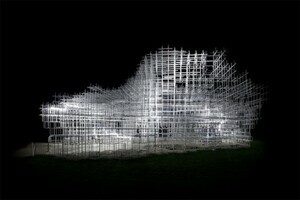 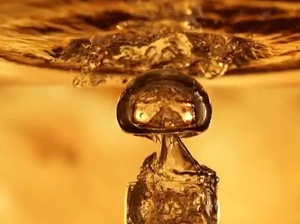 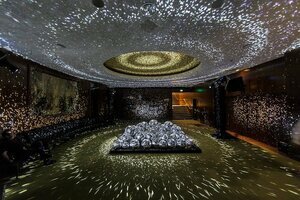 Posted in Art/Craft, Design, Nature, Video and tagged for, installation, light at 4:19 pm on July 29, 2014 by Broadsheet.